Planting Station for Kids: we will have a planting station setup for the kids where they can create a beautiful flowering pot for their Mom! We look forward to sharing your Mother’s Day with you and your family! Can’t make it Sunday, but still need to get Mom a gift? What would be better than a gift of nature, whether it be a hanging basket, flowering shrub, or tree? 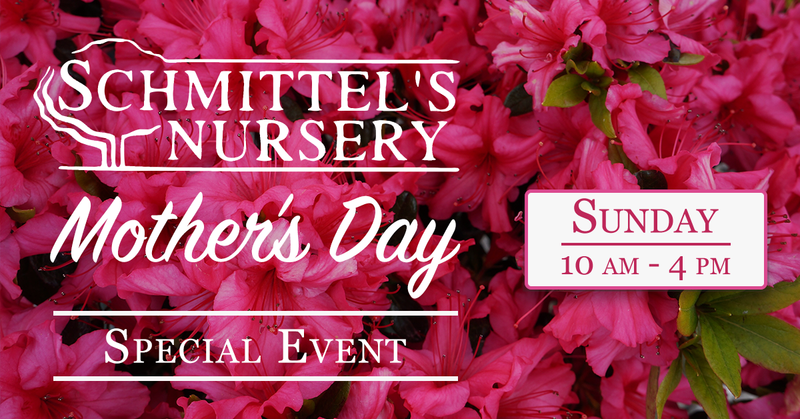 A gift card from Schmittel’s Nursery will put a smile on her face and is a perfect way to say Happy Mother’s Day!